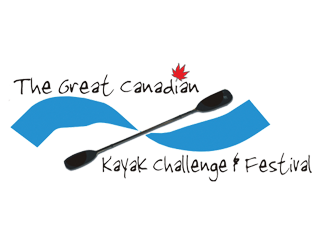 At approximately 32 km in length, the Elite Challenge is the most physically demanding course in the Great Canadian Kayak Challenge and Festival. This challenge requires participants to paddle both the Mattagami and Mountjoy Rivers and incorporates two 100 metre portage. Kayak carts may be used but will not be supplied. Open to all age groups, 3-4 hours estimated duration. Boat restrictions: Any length of kayak. Kayaks must have internal storage compartments (bulkheads), storage deck rigging or storage compartments to carry all the gear required for the race. NO SURF SKIS Or modifications to any purchased boat. Paddling the Mattagami River only, this challenge is 6.5 km in length with no portages. Open to those 55 and over, 1-1.5 hour estimated duration. Boat restrictions:Kayaks must have internal storage compartments (bulkheads), storage deck rigging or storage compartments to carry all the gear required for the race. NO SURF SKIS Or modifications to any purchased boat. Paddling the Mattagami River only, this challenge is 6.5 km in length with no portages. Open to those 55 and over, 1-1.5 hour estimated duration. Boat restrictions: 14'4" and under, any construction Kayaks must have internal storage compartments (bulkheads), storage deck rigging or storage compartments to carry all the gear required for the race. NO SURF SKIS Or modifications to any purchased boat. At 6.5 km in length, the Open Little Boat Challenge takes place on the Mattagami River only. There will be no portages in this division. You may enter the Open Challenge even if you have participated in other divisions. Open to all age groups, 45 minutes to an hour estimated duration. Boat restrictions: 14'4 and under, any construction. From paddling events, kayak sprint events to Arts & Culture Routes Vendors, kayak celebration is in the air and you cannot miss it in Timmins, Ontario. And even if you are not into kayaking competition, there is still something for everyone. The City of Timmins is a sophisticated and thriving municipality surrounded by pristine forests and over five hundred lakes, rivers and streams. The community has a rich and vibrant history, and it is strategically located in the heart of Northern Ontario. The City of Timmins is not only a center for industry, commerce, distribution and finance, but also considered to be the hub for culture and healthcare in the region. As a regional centre, Timmins provides services and opportunities to approximately 45,000 local citizens and 118,000 regional residents. Kayaking in Timmins Ontario is a tradition. This unique destination provides for Canada’s best kayak vacations and trips. If you love paddling, consider Timmins for your canoe trips in Ontario. You will find comprehensive kayaking and canoeing guides for all the leisure events and competitions. We’ve had visitors coming for kayaking in Timmins from Toronto, Ottawa, Montreal, London, sudbury and even from the US. These visitors left great feedback and were pleased with their trip quality as attested by the genuine testimonials received. For kayaking holidays packages, car rentals, fishing and boating programs and contact number, check Great Canadian Kayak Challenge website It has helpful information if you want to explore the city, find a hotel, flight, stores and shops where you can buy kayak accessories, gear, etc. Of course, you can always buy Canoes, Kayaks & SUP’s from Walmart Canada in Timmins, Ontario.